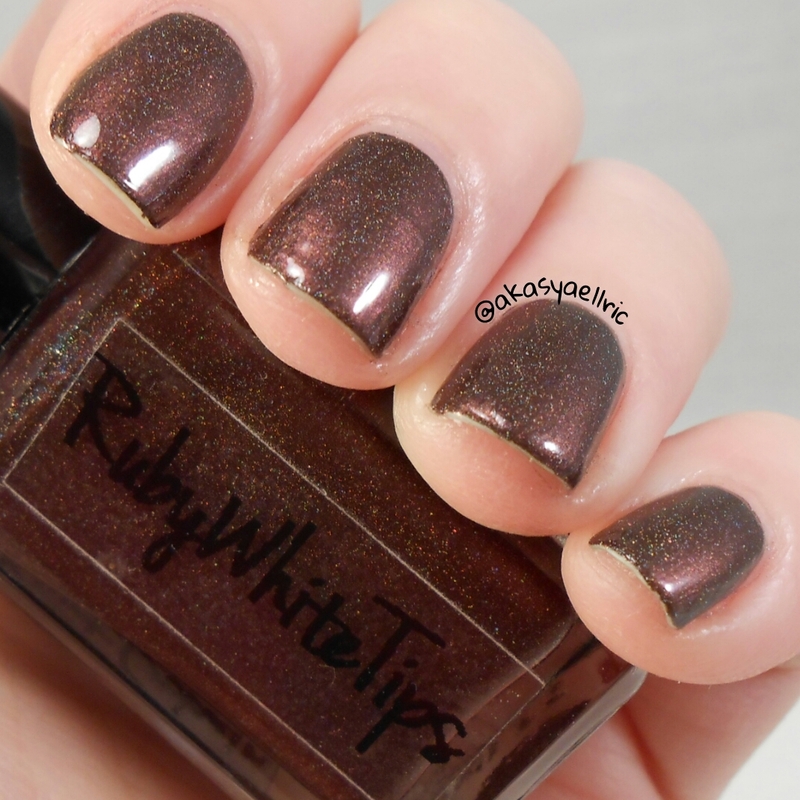 I have a few of the polishes coming out from Ruby White Tips on January 6 9 for review today. I’m rather excited for the theme of this collection. The collection is called Forever 27 and is based on all the musicians we’ve tragically lost at the age of 27. All names are first name only, so you may need a little bit of knowledge to know who each one is. 😉 Today I have Jimi, a beautiful silvery polish with iridescent glitters and shifts of blue and pinky purple, and Kurt a deep rich brown scattered holo. Up first is Jimi! 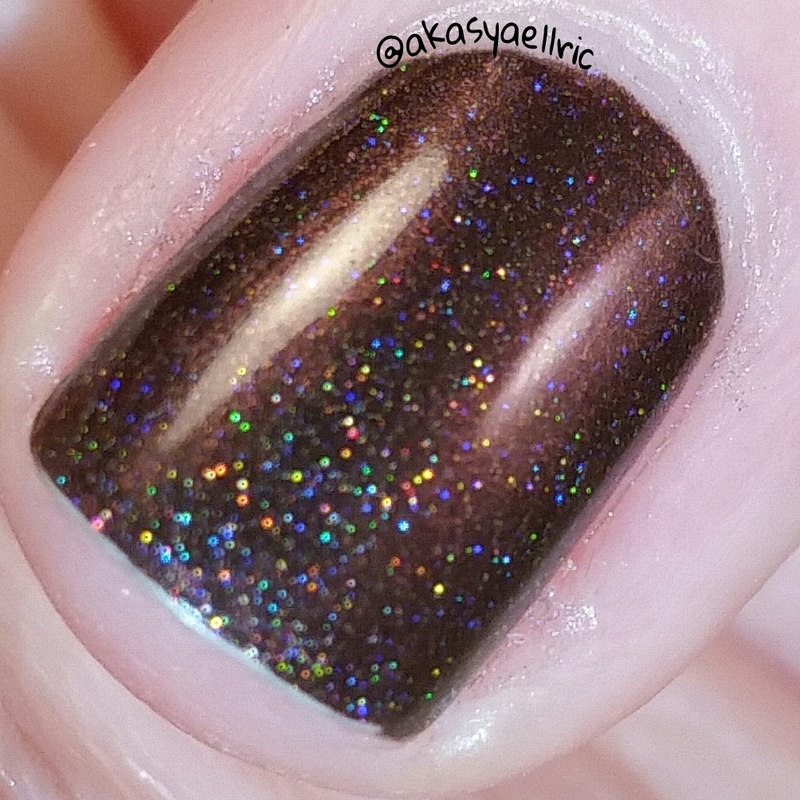 It was hard to capture all the shifty goodness in the polish and is even more beautiful in person. It is slightly textured and matte, but if you’d rather the glossy look, it’s still gorgeous! All these photos are matte, without topcoat. Polish went on smoothly and had excellent dry time. I left it on for a few days and didn’t have much chipping if any! I did three coats of the polish. 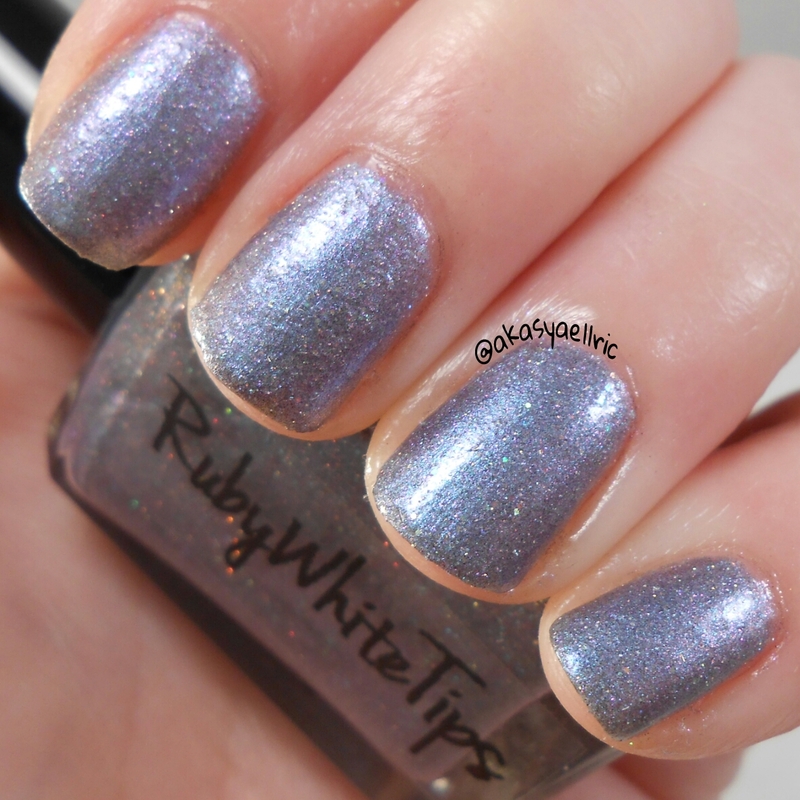 Products used: Dainty Digits Polish Glitter Be Gone basecoat, Ruby White Tips Jimi, I, A.M CustomColor DiamondPRO topcoat. 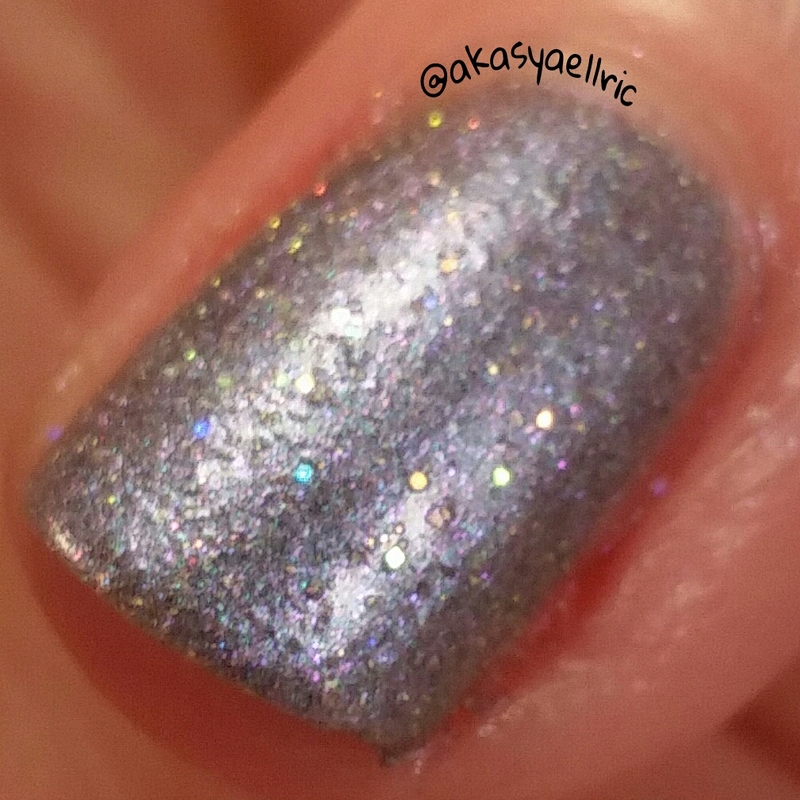 I did the macro with LED so you could see some of the scattered holo. 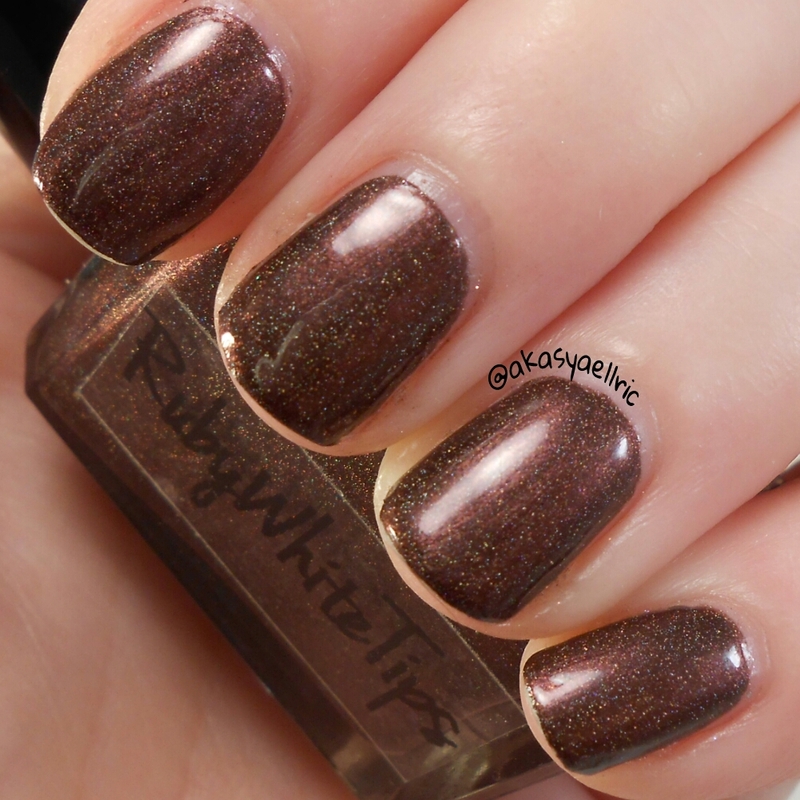 This is an absolutely beautiful brown polish, nice and dark and rich. I could of gotten away with one coat with it being so opaque, but I did two just to make sure. Polish went on well, with great dry time, as with all Ruby White Tip polish. Products used: Duri Rejuvacote, Orly Bonder basecoat, Ruby White Tips Kurt, I, A.M CustomColor DiamondPRO topcoat.